Margaret Mary “Peggy” Howell passed away March 30, 2019 at the age of 84. She was born January 25, 1935 to Arthur A. and Margaret M. ( Walsh) Israel in Detroit, Michigan. She was preceded in death by her beloved husband Joseph K. Howell in 2005. She is survived by her children Janet (Brian) Cylkowski, J. Kenneth (Roberta) Howell, Michael (Sara) Howell, Gregory (Rebecca) Howell and Dennis Howell, her grandchildren Alicia (Derek) Cromwell, Justin Howell, Ryan Howell, Randy Howell, Eric (Amanda) Howell, Jared Howell, Robert (Kortney) Pillitteri, Anthony Pillitteri and Matthew Pillitteri, her great grandchildren Emma, Lily, Ethan and Valyn. Peggy was also preceded in death by her parents and her brothers Arthur A. Israel, Joseph F. Israel, Bernard M. Israel and Thomas E. Israel. 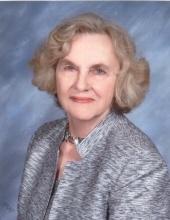 Peggy retired from Ford Motor Credit in 1992 where she worked in the insurance accounting department. She has lived in Plymouth since 1967 and has been a member of Our Lady of Good Counsel Catholic Church since 1968. Peggy loved swimming and was an avid photographer. She loved to correspond with family and friends especially to acknowledge special days such as birthdays and anniversaries. Most of all Peggy loved her family and spending time together. She was deeply loved and will be missed by many. A Funeral will take place Thursday, April 4, 2019, 11 AM at St. John Neumann Catholic Church, 44800 Warren Rd., Canton. Friends may visit at the Schrader-Howell Funeral Home, 280 S. Main St., Plymouth, Wednesday from 2 PM until 8 PM and Thursday at church beginning at 10:30 AM. There will be a scripture Service Wednesday at 7 PM. Burial will take place at Holy Sepulchre Cemetery in Southfield, Michigan. "Email Address" would like to share the life celebration of Margaret "Peggy" Howell. Click on the "link" to go to share a favorite memory or leave a condolence message for the family.